Crom has left behind his life of battle. He's seen enough blood to last a lifetime. But fate has another plan for him. Dragged into a journey of revenge and betrayal, Crom will have to use all his battle skills to reach his destiny. Using a selection of destructive weapons, alongside Rage Kills, Rune attacks, and Crom's feared Berserk rage, help Crom destroy all in his path. 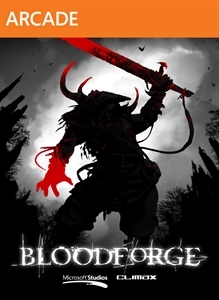 Showcasing a brutal combat system accompanied by a deep and compelling story Bloodforge is not to be missed.